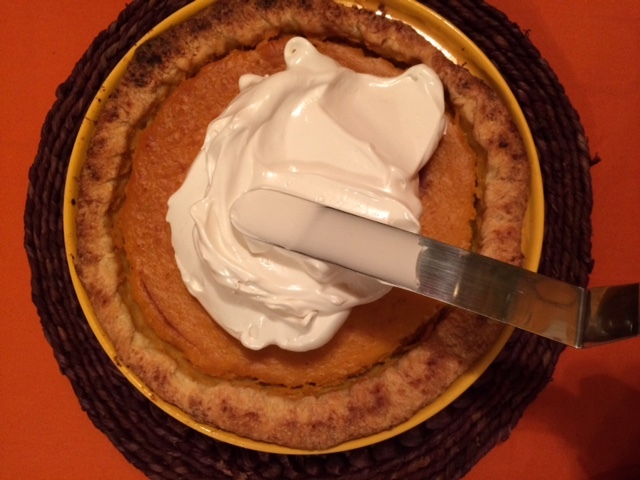 Don’t get me wrong, there’s absolutely nothing wrong with pumpkin pie when it’s done right. 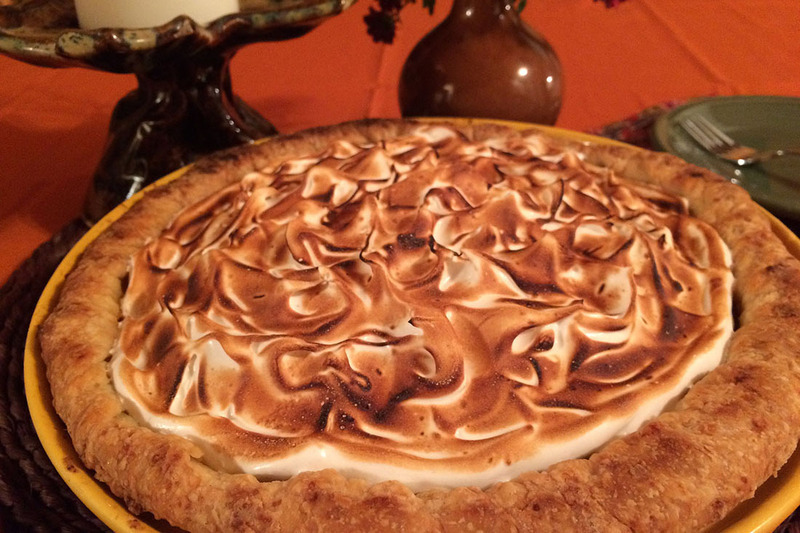 There is good reason that it is served at nearly every holiday gathering. 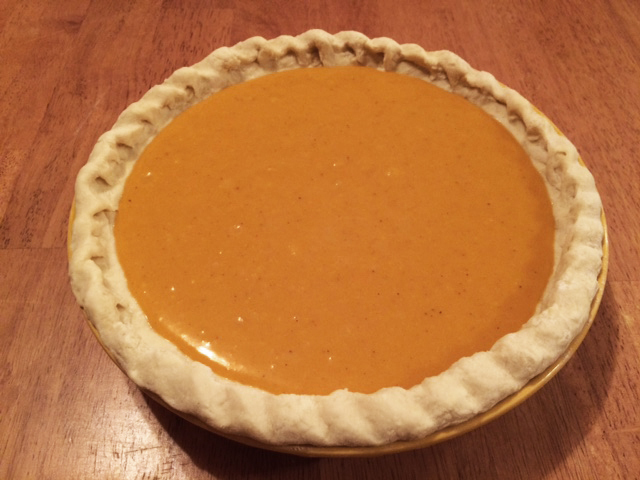 However, change is good, and this is a great recipe for spicing up your pie relationship. 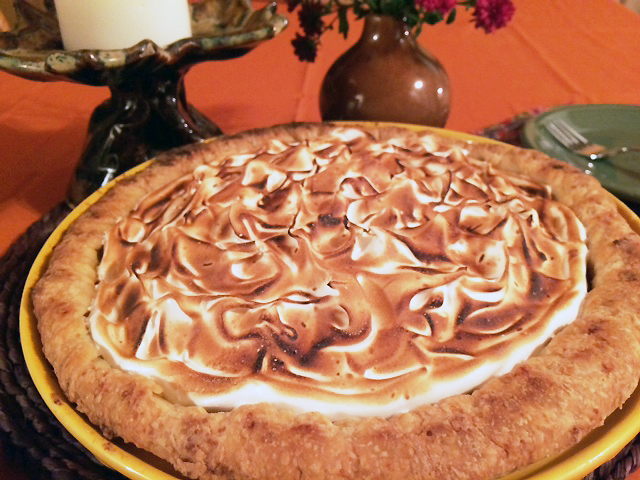 This delicious recipe is guaranteed to be a hit at your next holiday gathering. 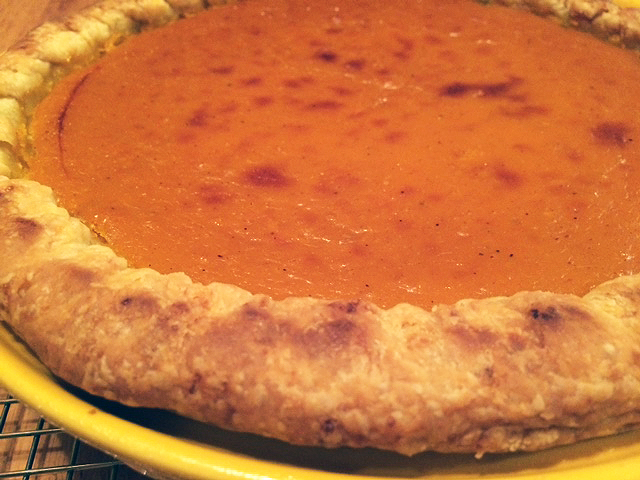 A creamy, silken layer of rich, sweet squash filling is delicately spiced and fills a buttery flaky crust. 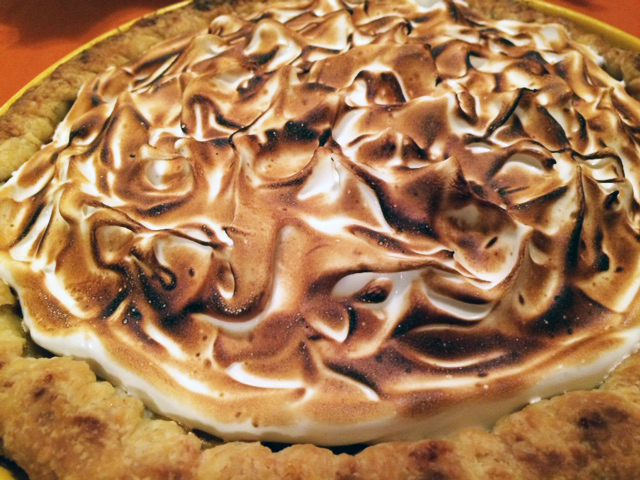 The pie is well complimented by a pillowy topping of sweetened torched meringue that looks stunning with its beautifully browned peaks and swirls. 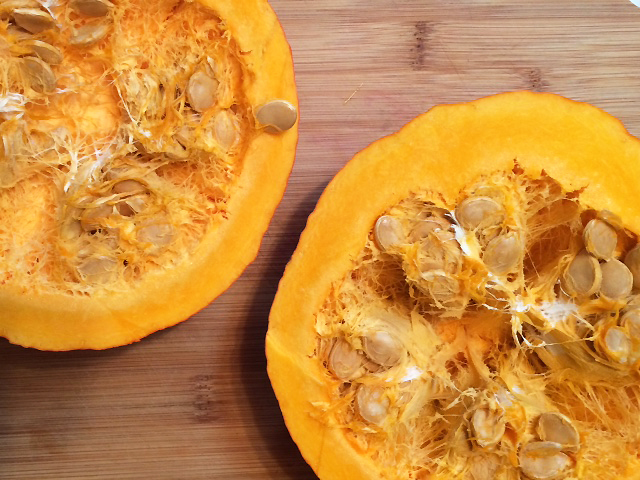 To cook the squash, cut the squash in half, remove seeds, and place on cookie sheet. Bake for an hour at 350˚ F until soft. 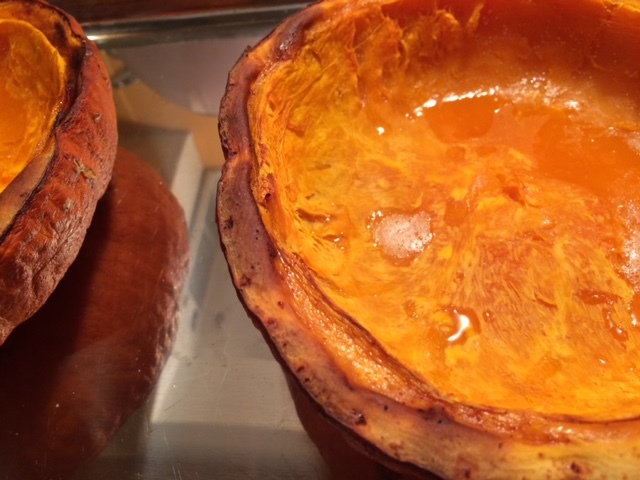 Make and refrigerate your dough while the squash cools. Preheat oven to 375˚. 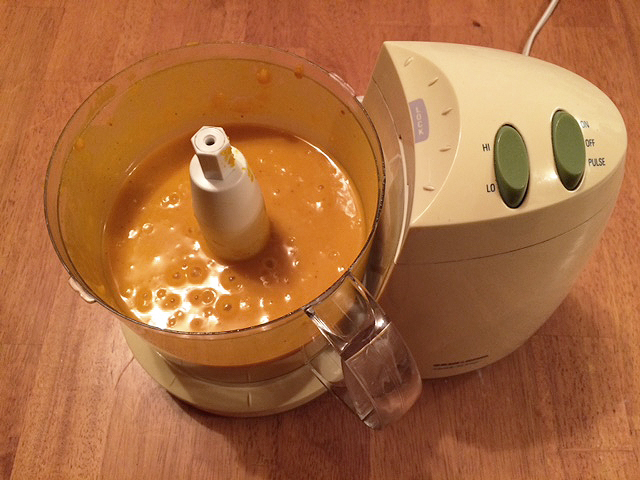 Measure squash and place into a food processor with eggs, milk, cream, sugars, salt, nutmeg, and vanilla and pulse until smooth and creamy. 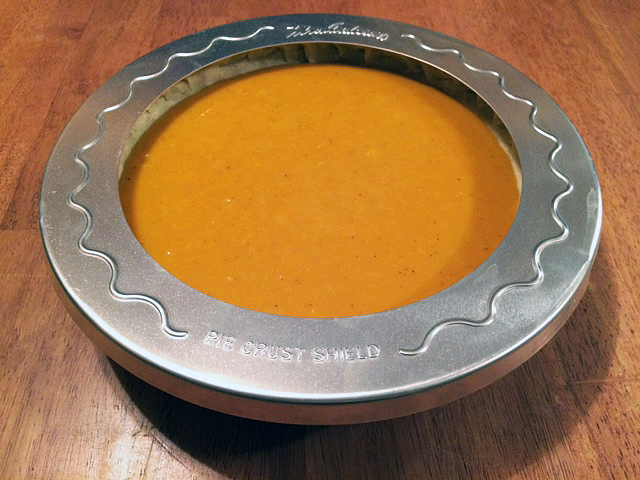 Using a 9″ pie plate, roll out and prepare your crust and fill with the squash mixture. 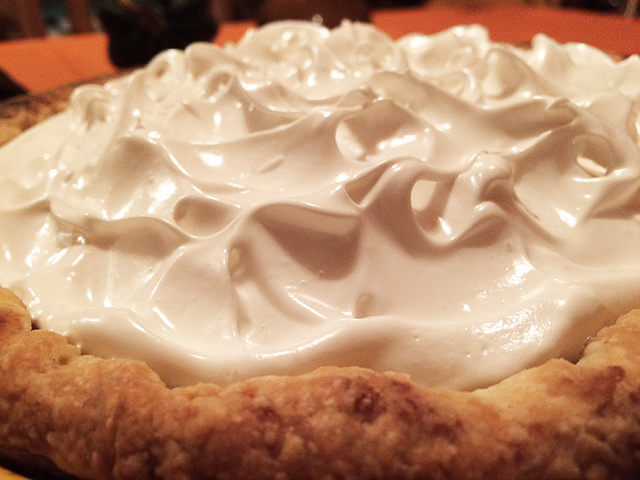 Protect the edges with a pie crust protector or foil strips. 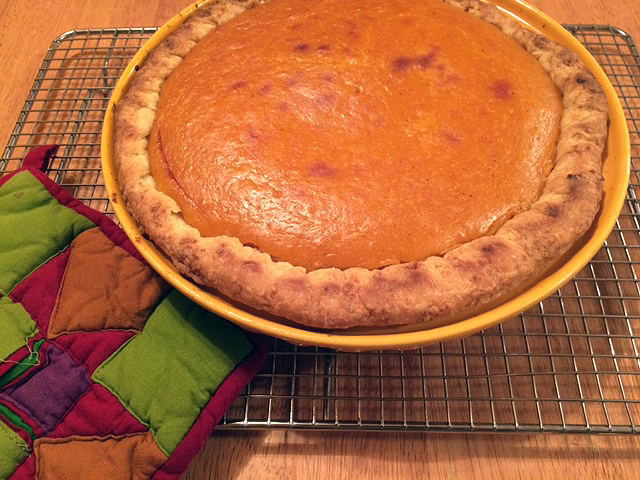 Bake for 50-55 minutes until the filing puffs up and cracks around where it meets the crust. Place on cooling rack until completely cool, about 2 1/2 hours. Have a cup of tea and put your feet up if desired. You’ve earned it at this point. 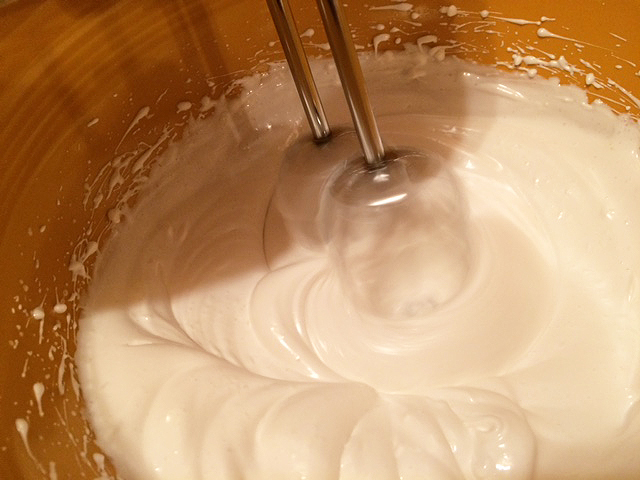 In a large bowl, mix egg whites, salt, and cream of tartar with a hand mixer on low speed until foamy. 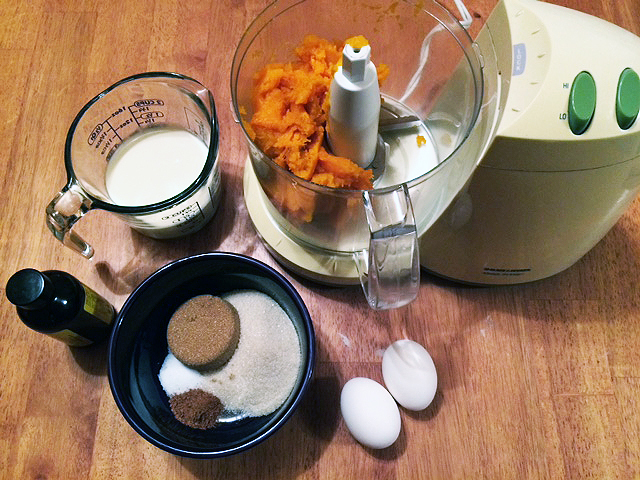 Increase speed to high and add the sugar slowly. 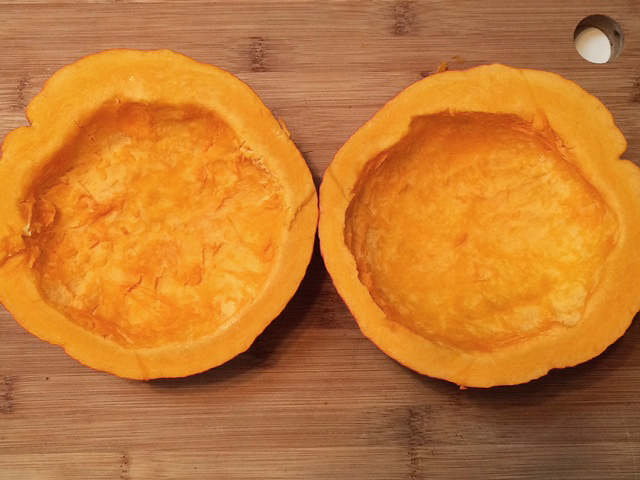 Beat on high speed about 4-5 minutes until stiff glossy peaks form. 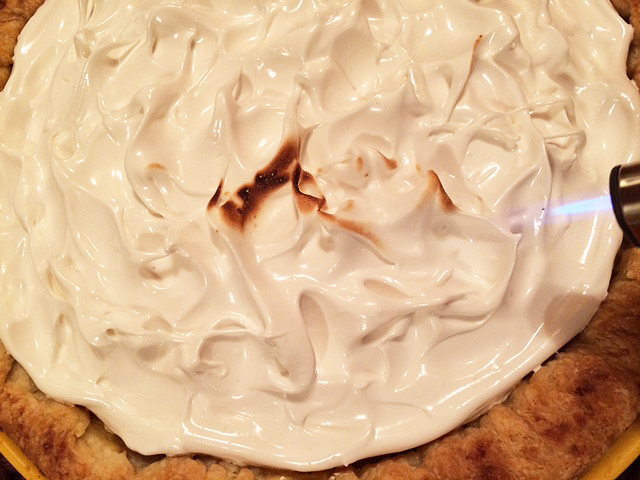 Spoon mixture on top of cooled pie and spread to desired texture. 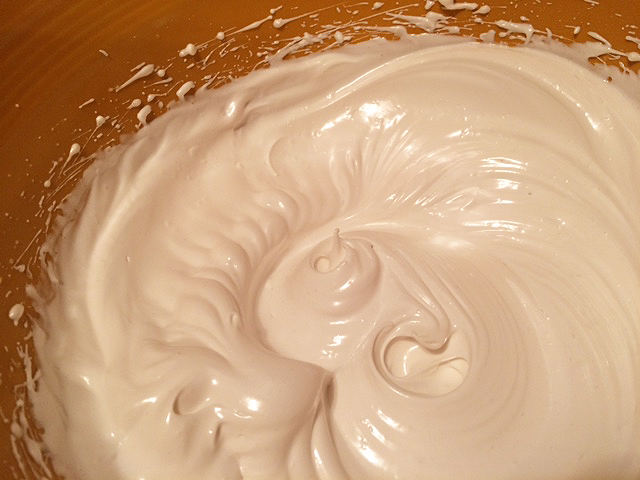 I prefer to make spiky peaks, but swirls look equally beautiful and enticing. 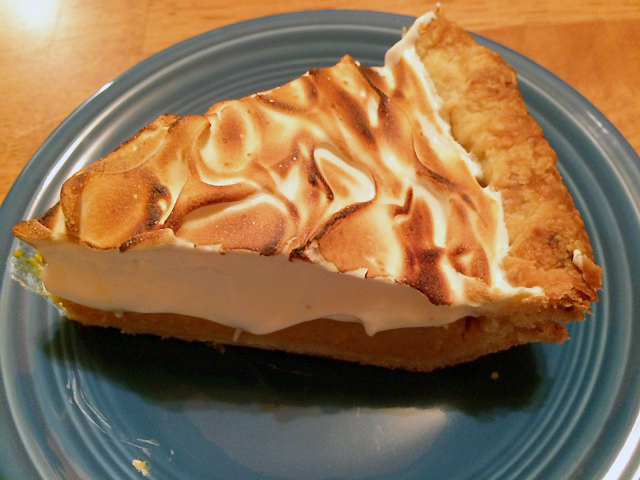 Using a culinary torch on medium flame, gently brown the meringue evenly across the top, or broil for about 45 seconds with the oven’s heat source at least 7 inches away from the top of the pie, keeping a close eye on it. Eat, or refrigerate immediately. 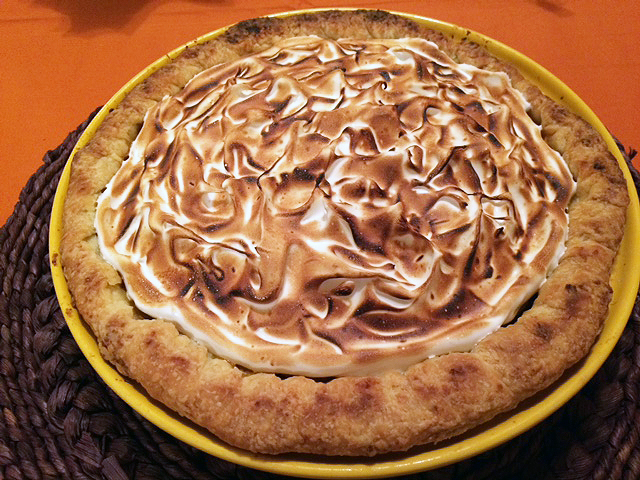 The completed pie can be refrigerated up to two days.